From humble beginnings, Just Dance has grown to become one of the biggest video games franchises of all time and the top performing music game series of all time (according to Ubisoft, at least) with 65 million copies sold. In other words, it's THE big name in getting you to shake it up in your living room, whether you're after family favourites or chart-topping hits. 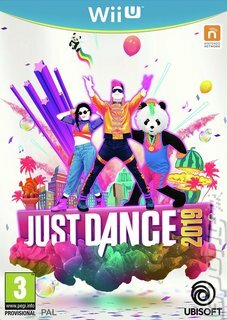 In keeping with the singles charts there's a tracklist of 40 new songs for you to throw shapes to right out of the box, but with the Just Dance Unlimited 'dance-on-demand' subscription streaming service you can get into a deep library of 400 songs. A new home page also includes seasonal and special event playlists, a new community section and game news highlights.